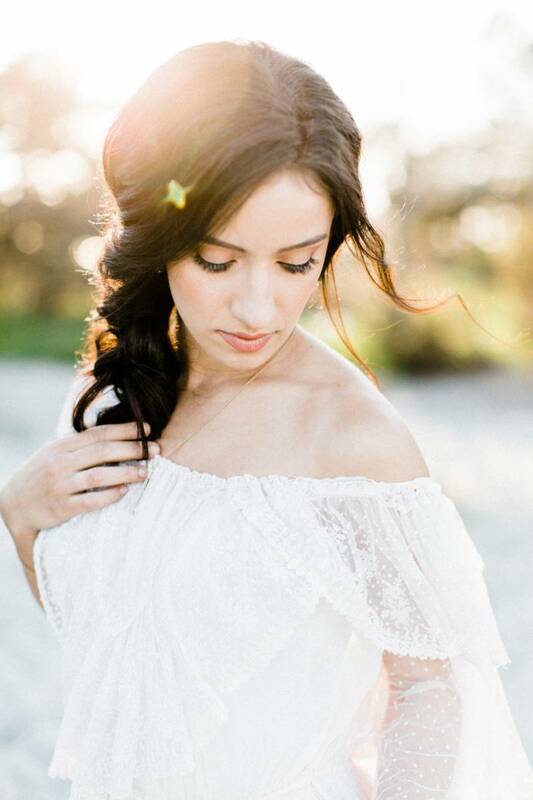 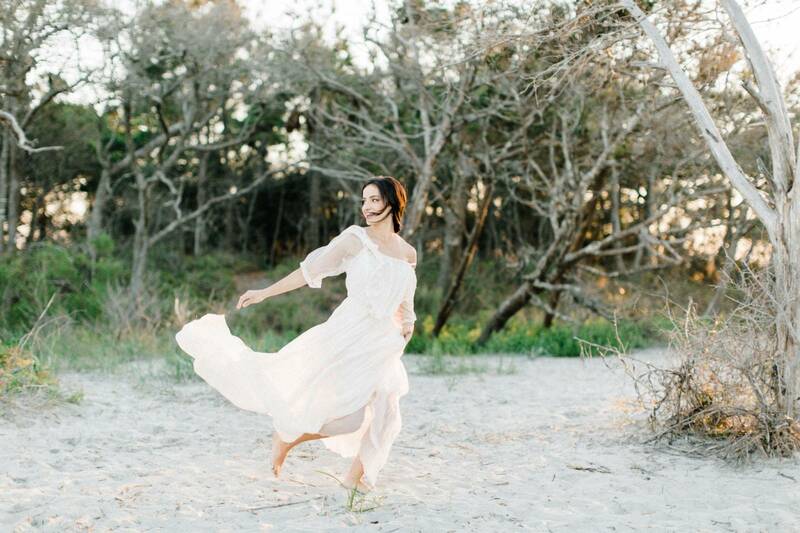 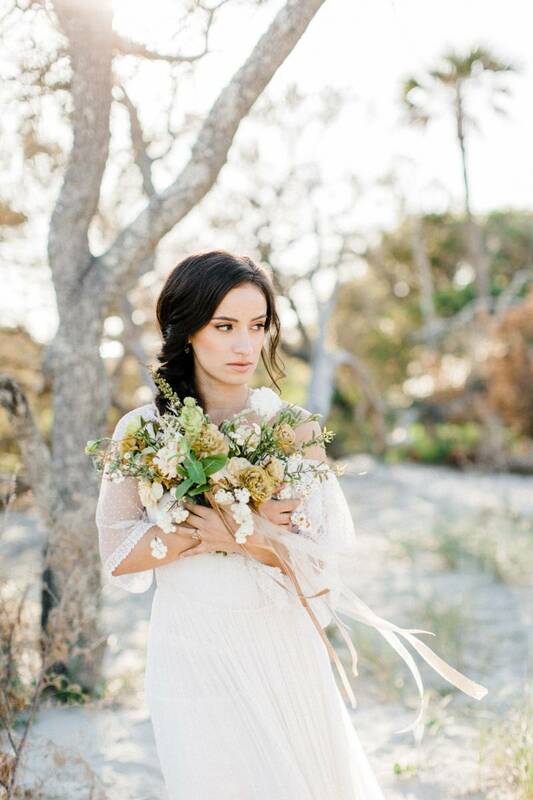 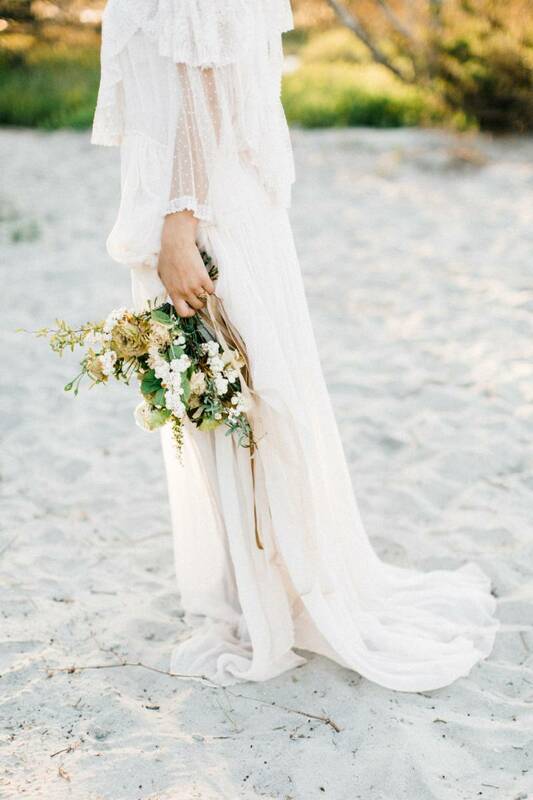 The inspiration for this ethereal bridal shoot by JUDY NUNEZ PHOTOGRAPHY was old world simplicity. 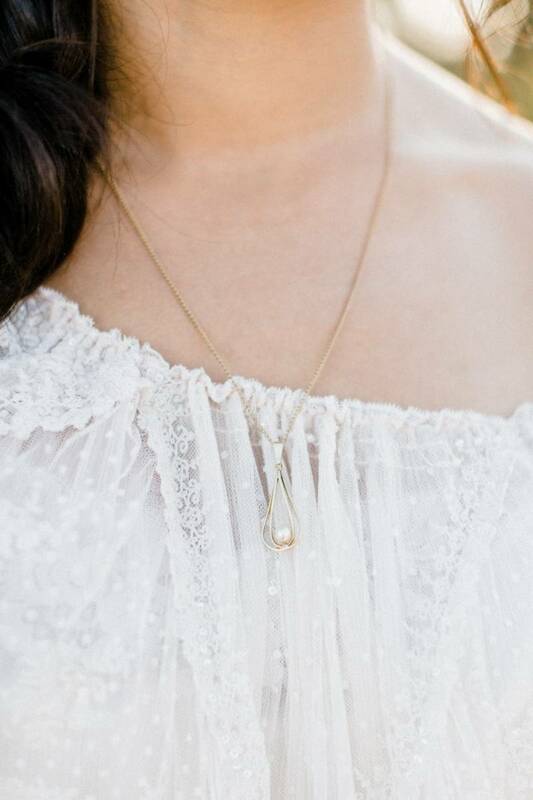 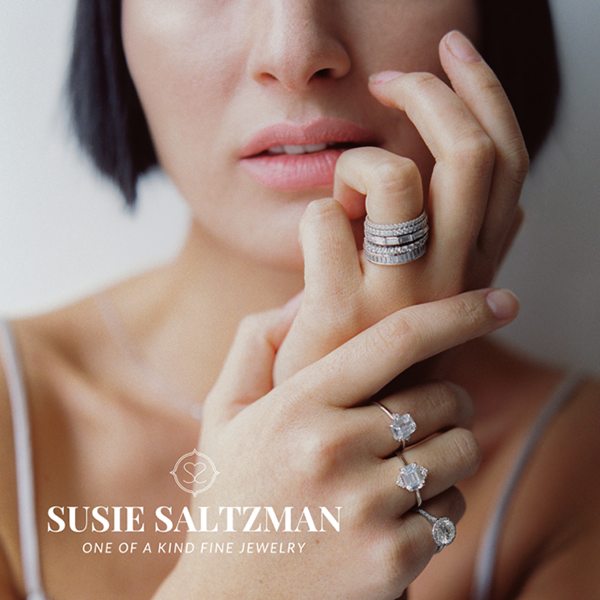 Judy tells us, "We wanted every detail to evoke feelings of yesteryear, so we incorporated 18th century European antiques as accessories & a brass art deco clutch which accented perfectly with the vintage silk gown. 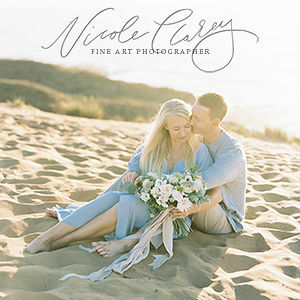 To add to the romance, we chose to shoot on the beach as the sun was setting to give us a delicate golden light, in a way that seems to perfect for this world. 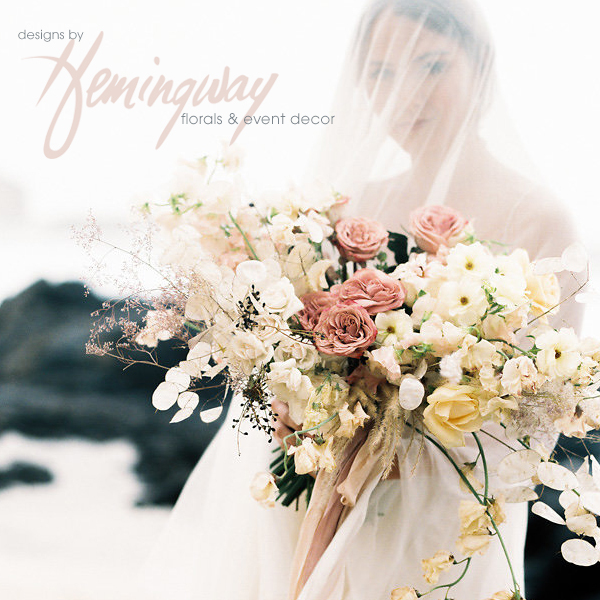 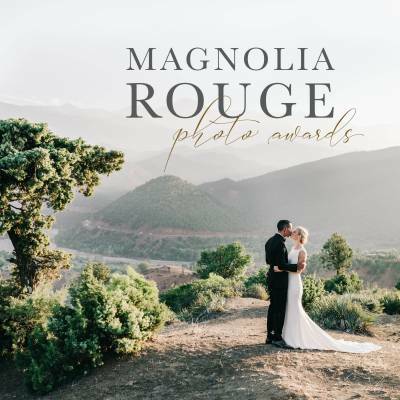 I'm so thankful to have worked with Heidi from ON A LIMB FLORAL STUDIO & Brittany from WILD IVORY BEAUTY, as these two creatives understood my vision and helped bring it to life & also my dear friend Anita who who let me raid her antiques!" 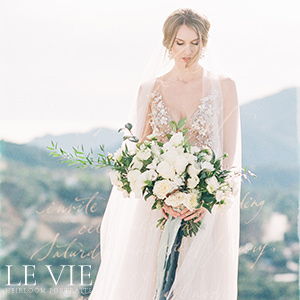 A stunning romantic gown from GOSSAMER fit their vision perfectly.